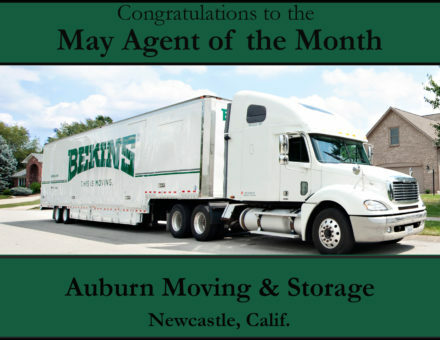 NEWCASTLE, CALIF. – Auburn Moving & Storage is Bekins Van Lines’ Agent of the Month for May 2017. The award is given to the interstate agent for Bekins Van Lines that exemplifies founders John and Martin Bekins’ philosophy of putting customers first and the characteristics of quality, professionalism, empathy for customers, fellow agents, drivers and Bekins employees. Auburn was established in 2005 by owners Sean Minor and Robert Huckins and recently joined Bekins system in January 2017. Auburn is very customer focused with 67 percent of their business coming from referral and repeat customers. In 2014, the company received the prestigious Angie’s List Super Service Award and have an A+ rating with the BBB. Auburn is a member of the Auburn Chamber of Commerce and participates in the Festival of Lights and Fourth of July parades in its local area. Auburn is involved in several local community charities, including the Interfaith Food Closet turkey/canned food drive and sponsoring Placer High School. Additionally, in conjunction with Wreaths Across America, the company proudly delivered 1,300 wreaths during the holiday season to a local cemetery to honor fallen veterans. Auburn is located at 10000 Hillview Rd., Newcastle, CA 95658. 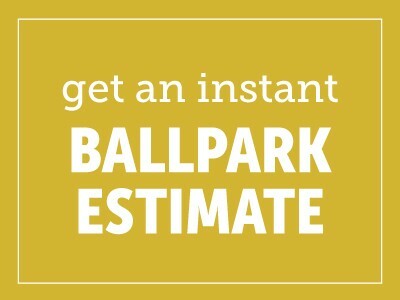 They can be reached at 530-823-8685, 888-233-8685, or online at auburnmoving.com. Bekins Van Lines, Inc. is one of the world’s most highly regarded providers of transportation services. The van line is the fourth largest household goods carrier. Headquartered in Indianapolis, Ind., Bekins offers private and corporate domestic and international household goods relocation services as well as special commodities and logistic services. The United States Military also is one of the company’s largest customers. To learn more, visit www.bekins.com.